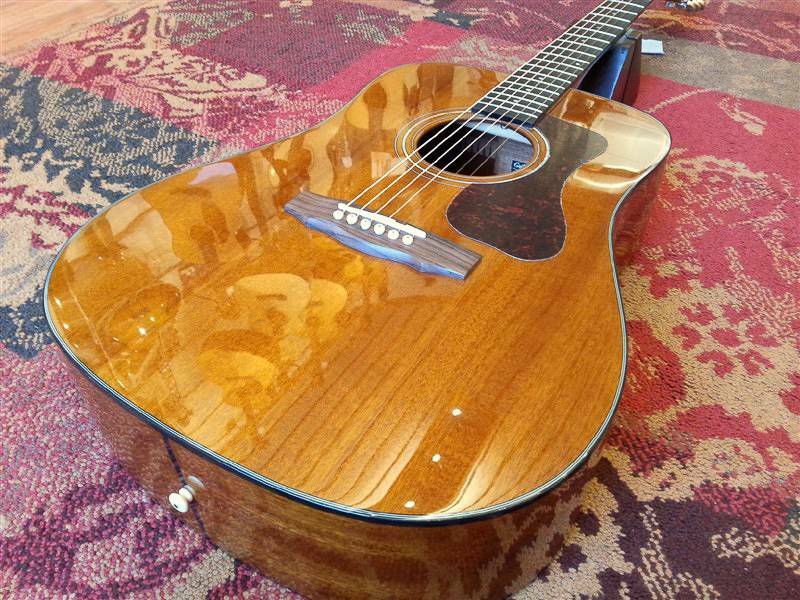 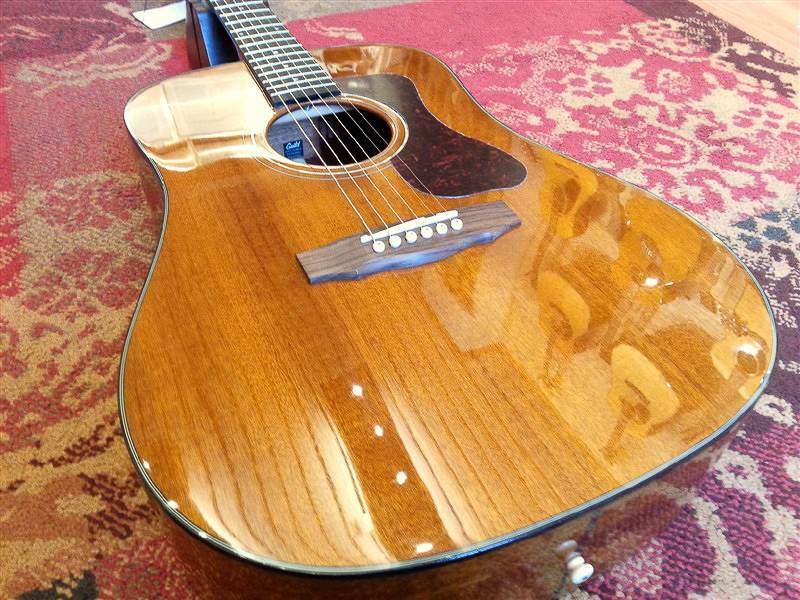 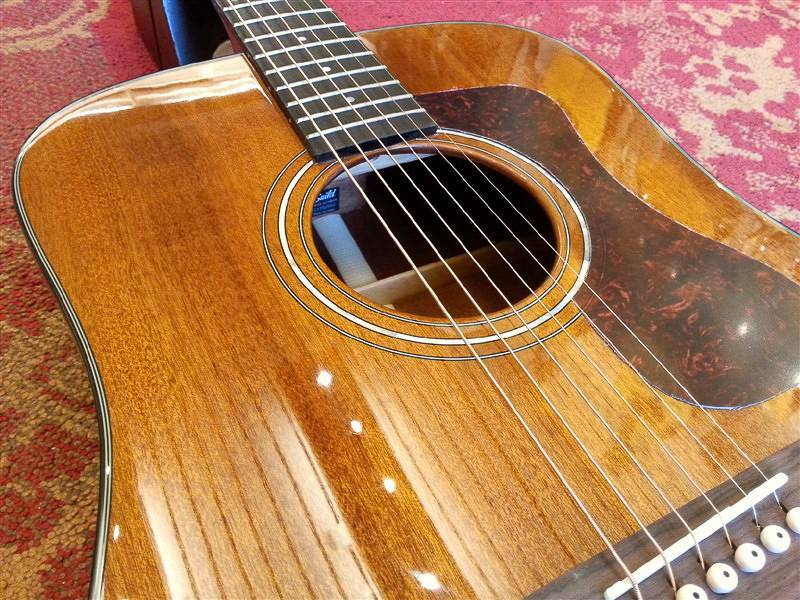 The full-bodied and powerful tone of this Guild dreadnought provides guitarists with a classic acoustic sound and balanced voicing. 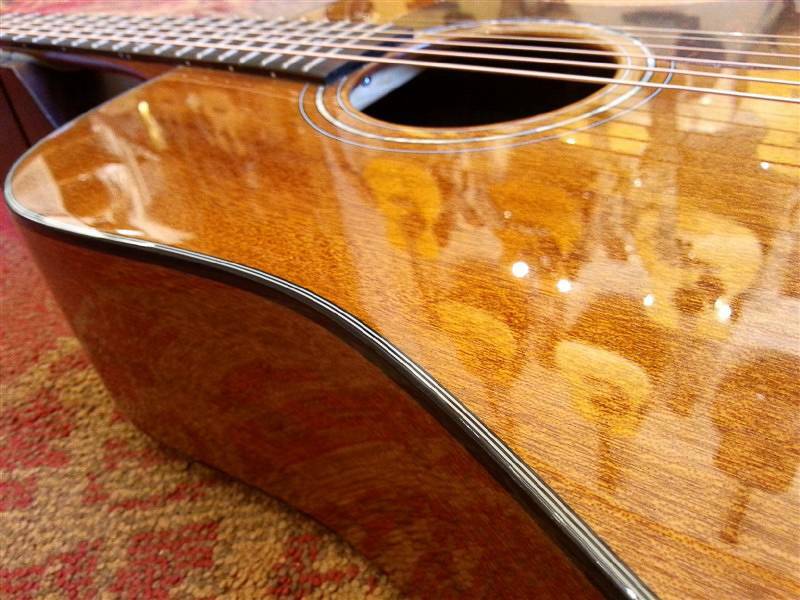 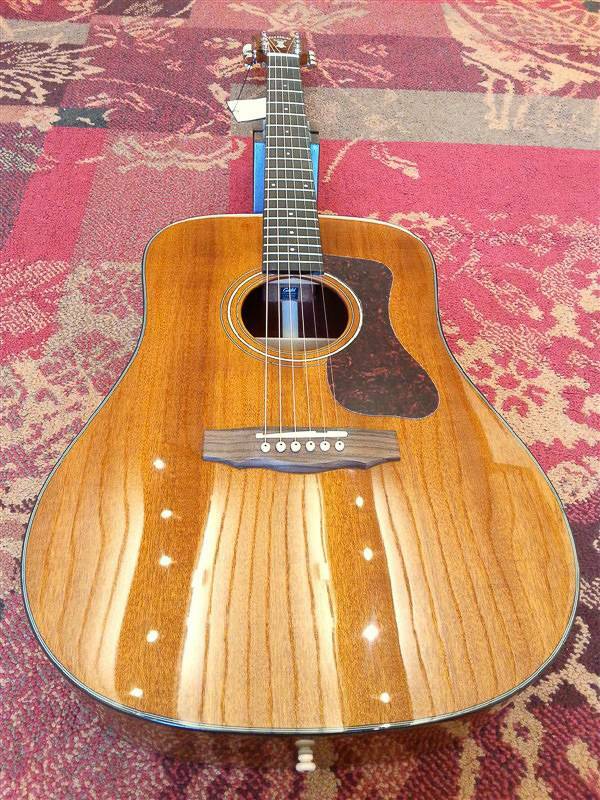 Built with solid African mahogany top, back and sides, the D-120 features an Indian Rosewood fingerboard and bridge, bone nut and saddle, and mother-of-pearl rosette. 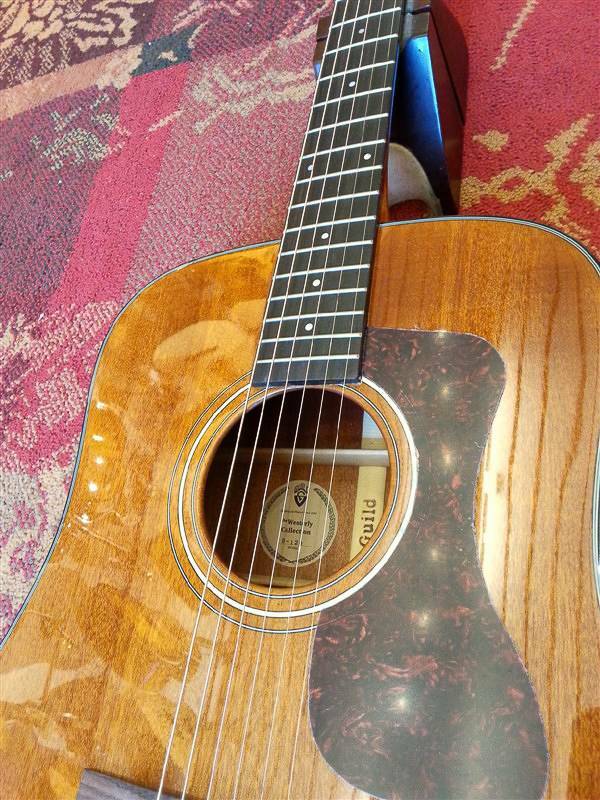 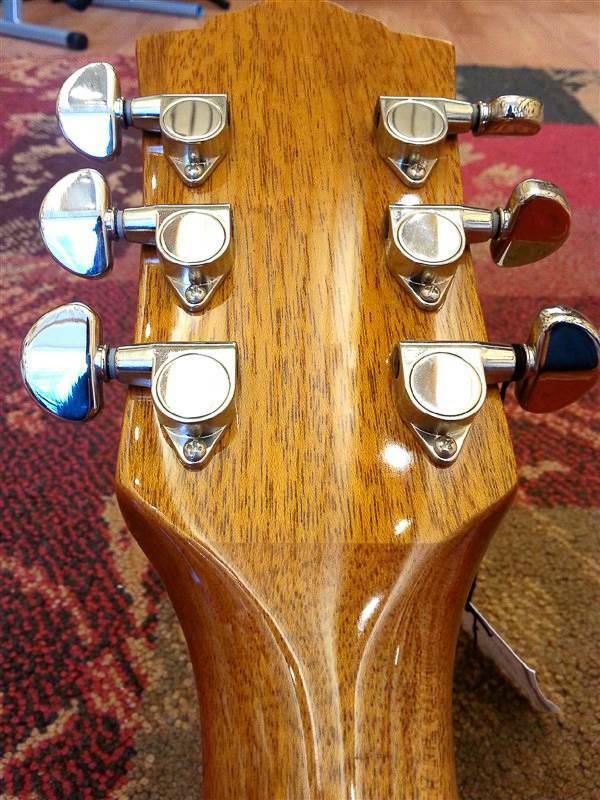 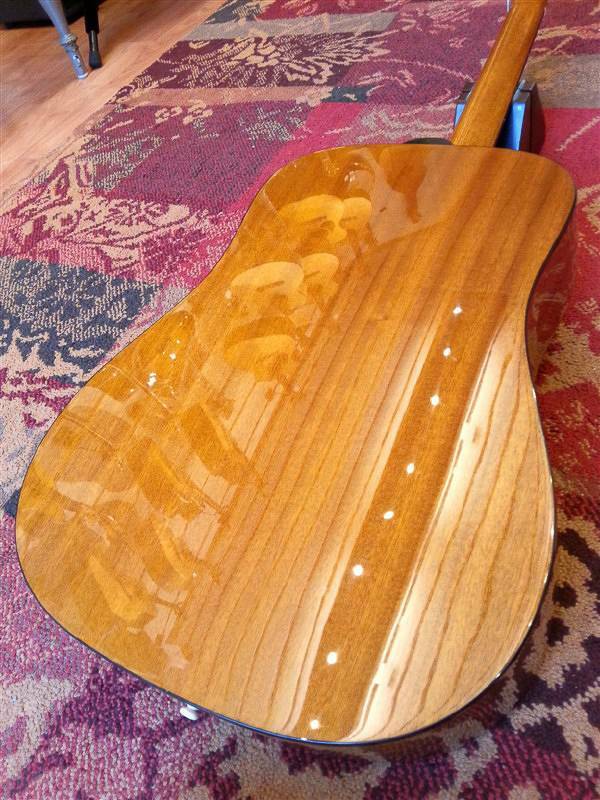 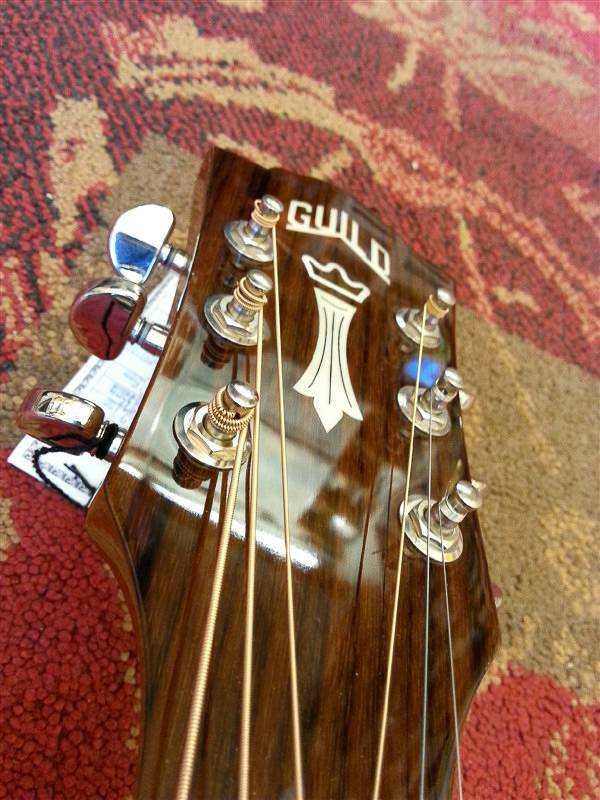 This model also has a 1 ¾” nut width on a vintage shaped Guild neck, iconic Chesterfield headstock emblem reminiscent of 1960s Guilds, period-correct tortoiseshell pickguard, and Guild’s new lightweight polyfoam case.